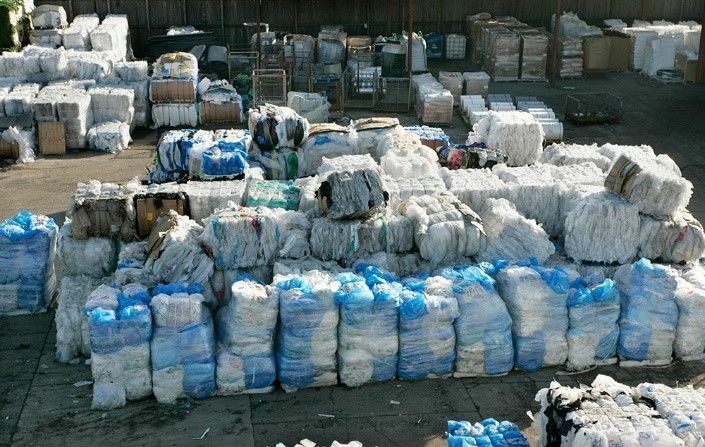 This impacted a whole range of waste, but most significantly various types of plastic. In just a couple of months the purchasing price of this type of waste dropped significantly, sometimes even to negative numbers. The same applies to paper. You may have noticed that in the last few months, towns reopened their discussion on how to deal with waste management. The main issue is that as of 2024 the European Union has banned the dumping of communal waste in the Czech Republic. A CRISIS IN PLASTIC WASTE TRADING? We can see these headlines everywhere. Towns found themselves under pressure from media as well as from upcoming legislature, which is why they try hard to motivate people to sort waste as much as possible in order to reduce secondary unusable waste and related costs. However, this waste differs from the kind generated by a production company; citizens will never have the same type of plastics and will not be able to sort as much as you can in your company. When designing your waste management system, always keep in mind that plastic sorted by type will always be more valuable. In this way you will never have to go in red numbers. It’s not as hopeless as it might seem. Do not look for large collection companies for your paper and plastic (PE) waste; instead, choose the nearest company with a recycling line, as the largest cost in waste collection is transport. Alternatively, you can contact your supplier of packaging materials, who should at least be able to give you some advice. They should have sufficient knowledge of current purchase prices. To make things more complicated, another hit came from Brussels. Günther Oettinger, European Commissioner for Budget, announced that the Committee plans to introduce new Europe-wide taxes on plastics in order to reduce the pollution with plastics. Commissioner Oettinger also stated that it has not yet been decided whether the tax would apply to producers or end users and whether items such as medicaments and medicinal products would be excluded. The tax implementation announcement is part of the upcoming budget bundle that included public discussion of EU funds. It is expected that the Committee will propose that part of the incomes from the European Emissions Trading System (ETS) go to the central budget, whereas currently it goes to individual member states.